That is not true!I am intersted in the mod and I did follow progress,but without commenting or replying or anything like that.The masteries are pretty original,esspecially Aqua mastery,wich will probably be my first mastery,combined with either Necromancy or Time(though there are still 2 masteries to be revealed),because I always wanted to see how an aquamancer class(however you want to call it)plays in an arpg(quite ironic,since I cant swim).Not sure if it will be my favorite mastery though.I rather Necromancy(I always liked those kind of classes).Anyway,if you want to post some updates go ahead.If you want to save time and finish the masteries,again,go ahead.I follow progress regularly(though I check on the forums daily). About the masteries,will Barbarism be similar to Chaos or one will be tanky while the other one will be more berserk? I think many players underestimate their own influence on the modding process. Trust me, a modder can get alot of fuel from simple comments or any kind of feedback. Talking from experience. WNG, just keep going. I told you what I think about the rest. I have not thought of it that way,not until now. ^Indeed this is true, can confirm. Even if I play Immortal Throne version, I follow your progress, probably can't try it, and it will be like that for some time, but observing it and sharing my point of view about every mastery. Its normal part to be demotivated during working for months on some project, but excluding others to participate in your masterpiece is only making a barier between you, your work and everyone who is following your progress. No one cared about my mod for literally years. sauruz found it at about 3 or 4 years into development I think. So your biggest fans probably haven't even picked up the game yet. The guy that did Paths mod? He was my "student" in game modding this game because all the truly smart people had moved on like Munderbunny and ASYLUM101. Besides, what will you do once you are done? Make it last, it's good times. 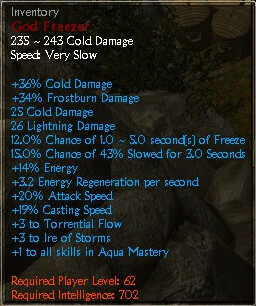 As a cold mage enthusiast, i'm eagerly awaiting the water mastery! So since last time, I've been working on the Time mastery. It is nearly done, I only need to finish its pet skill before posting its preview on this board. 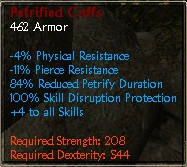 Recently, I've been mostly working on including new items and affixes. In total, there is 117 prefix files and 125 suffix files. Also, every mastery will have a unique suffix that drops on jewelry, that includes a bonus fitting the mastery and bonus point(s) to a random skill in the mastery. 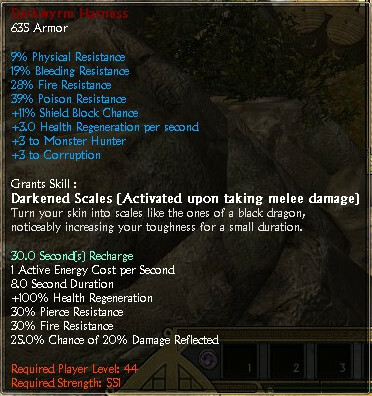 That makes 20 affixes per mastery, and this for all 3 difficulties, and for all 10 masteries. In total, it's another 600 more suffix files. Also, I am working on adding loads of new items. I want to make all damage types viable on all types of weapons and on all stages of the game, more leveling items, obnoxious items, in short, I want a huge variety of items. Take a look at this. 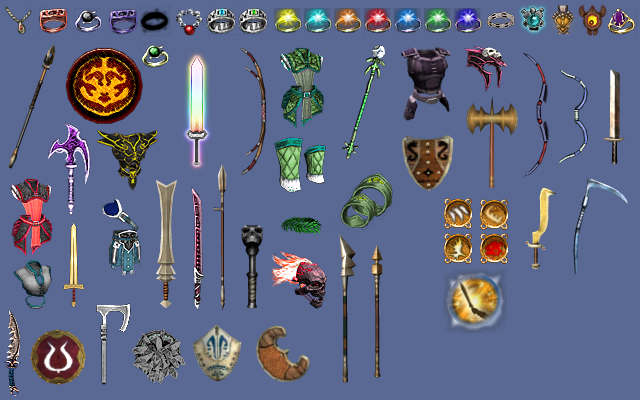 Those items are currently available, but I intend to add a lot more. Anyways, I'll post back when Time mastery is finished. Time Mastery has been completed. It took much longer than it should have, because I'm growing more and more busy as the time goes. This means it will take a while before I make any major progress on this mod, if any. Sure thing is it will be released at some point, since it got too far into production to be cancelled. Can't really estimate when it could be released. Next mastery to the list is Science mastery. 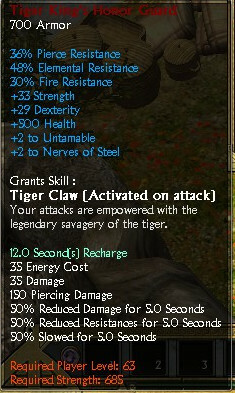 This will be a mastery that will benefit mages and users of Lightning and Poison damage. Nothing concrete to share for now, other than Science mastery is halfway done, and that Chaos/Lifegiving have received valuable playtest time, which means they are getting close to their final version, as in they will be released this way but may receive fixes if needed. Also, a bit of new items and heroes have been added. I think of adding a third secret passage. Regarding the masteries, I halted the skill creation and kept on making new items, hero monsters and doing extended playtesting. It is much less tiring to do and easier to consolidate with my college schedule.